Mindless shooting games are a fun distraction from everyday life. Gunning down hundreds of enemies–whether they’re Nazis, zombies, or stormtroopers–is always a good time and was exactly what I was in the mood for. 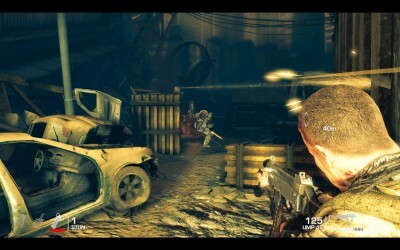 Spec Ops: The Line was the winner this time around, and I was ready to effortlessly take down droves of enemies and feel like the victorious hero at the end. 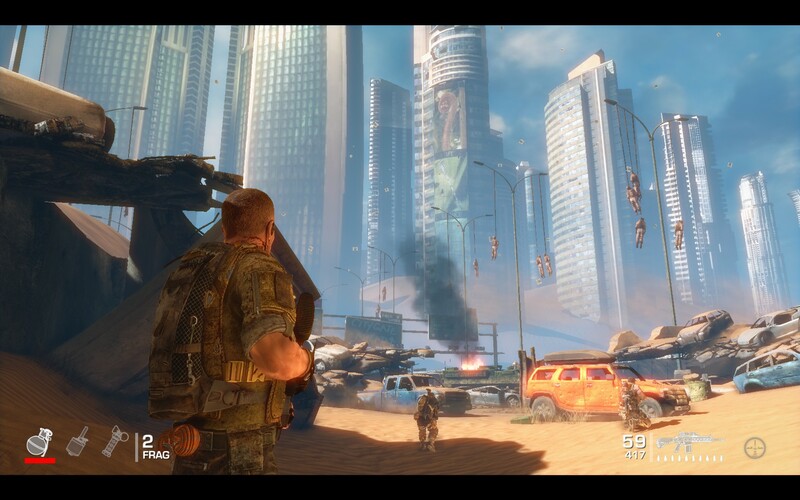 Spec Ops made me feel a lot of feels, but victory was never one of them. Set in Dubai, you play as Captain Walker. He is on a recon turned rescue mission along with his two teammates. During the mission things quickly go from bad, to worse, to positively gut-wrenching at times. Pretty much everything beyond that explanation is a spoiler, and this story is too good to experience via a snarky backlog review. The decisions you make during the course of the game encompass most of the story. No, these aren’t the “choose the blue option for good or the red option for bad” kind of decisions. These are split-second choices you have to make during gameplay or face the consequences. There are no real right answers, and most of the choices make you feel a little bad about yourself since it’s emulating what you would probably do in that situation. This is definitely not an “everyone is going to be all right” kind of deal, and that’s why it’s so great. Bang bang. Now I feel bad. 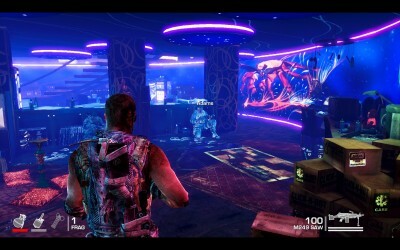 In-between cutscenes, you’ll be playing a standard third person, cover-based shooter. Think of it as a mediocre Gears of War without the chainsaw guns and men that closely resemble refrigerators. Don’t get me wrong, it is fun and there are times when you feel awesome after taking out a handful of guys in rapid succession, but all that takes a backseat to the story. That isn’t to say there aren’t tense moments. Don’t get too attached to your military issued rifle because you’re going to toss it aside for a shotgun or an AK-47 pretty quick. 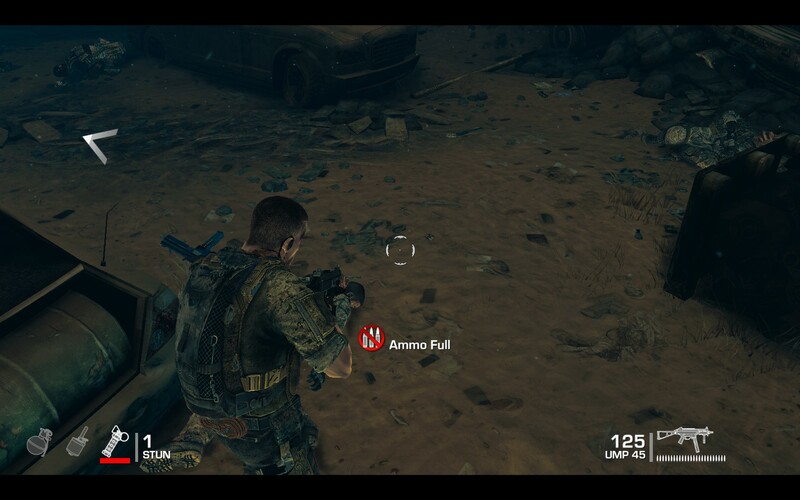 Ammo is limited, so you’re going to be play hot potato with firearms in the middle of battle. This can get hairy when you’re already sprinting for new cover and dodging enemy fire and expertly thrown grenades. You won’t see this too often. 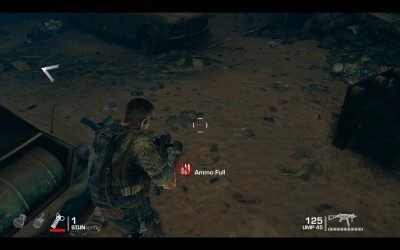 The AI in Spec Ops can range from remarkably clever, to pretty stupid. Your two squad mates are usually pretty good about not getting shot, but every now and then they forget to hide behind cover or charge right at the enemy, causing you to have to revive them before their little life timer runs out. The enemies work pretty much the same way. Sometimes they can flank your position and really get you in a tight spot while other times they’ll just stand right in front of your cover in perfect blind fire range. Speaking of cover, that’s the main reason I call Spec Ops a mediocre Gears of War. The system works okay most of the time, but sometimes Walker will run up to cover and just stand there while you frantically press the duck button. There’s also no real rhyme or reason to what you can and cannot vault over. Sometimes you’ll be able to effortlessly jump over a really wide object and other times the tiniest bit of cover will protest against you using it for your own personal gain. Thankfully these issues are not constant to the point that it brings the game down, but they are just constant enough to notice. Most of the interiors are nice and swanky. I think most of you are familiar with Dubai. It’s the Middle Eastern metropolis with all of those crazy cool looking skyscrapers. Well, imagine that only neck deep in sand and you have Spec Ops. Even with most of Dubai covered in sand caused by vicious storms, the development team still made the most of it by going crazy with the inside of the buildings. All I really have to say here is there is a floor that is also a giant fish tank, and that’s pretty much the kind of atmosphere you can expect. The story in Spec Ops was supplemented by some great sound design. The music made the disturbing feeling you feel while playing even more real, and the voice acting is about as good as you can get. I was a little taken aback at how Walker evolved throughout the story, and that was largely due to the voice acting of him and his team. I don’t want to take anything away from the gameplay because it’s solid, but the main reason you need to buy this game is for the story. When you pair it with atmospheric music and superb voice acting you can expect Spec Ops to take you for an emotional ride where the choices you make actually matter. You can replay it as many times as you want–and you will want to–but no matter how you spin the story it won’t make it any less depressing, and at times, disturbing. My articles are drawing to a close, and like last year I will be picking my final backlog game for the summer.